Cuban born abstract painter, Yolanda Sanchez, earned an MFA from Yale in the mid 90’s, 15 years after earning a Ph.D. Clinical Psychology from Florida State. While at Yale, she studied with the British painter, John Walker, who became a mentor, and with Andrew Forge and David Pease, among others. Currently, Yolanda lives and works in Miami Beach, Florida and her work joins 16 other contemporary abstract painters as part of Selby Gallery’s newest exhibition Abstract, adj. : Expressing a quality apart from an object opening Friday, February 22 – April 3, 2013 at the Ringling College of Art and Design. 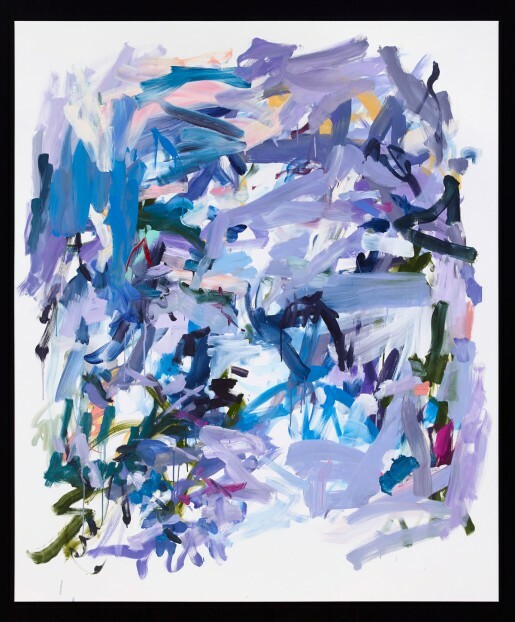 Below, Tim Jaeger interviews Sanchez about her work, process, and abstraction. sVA: For those who have a hard time understanding abstract art, what is it? YS: I am sure there are many definitions of “abstract art.” I like to think of it as a simplification, a sort of “boiling down” to what is essential. One can also think of it as a synthesis or condensation of an image or feelings or events, which in turn, are translated into a composition based on relationships between color, marks and/or shapes. For some artists, this definition would not even apply as some artists believe that abstraction is wholly devoid of content. 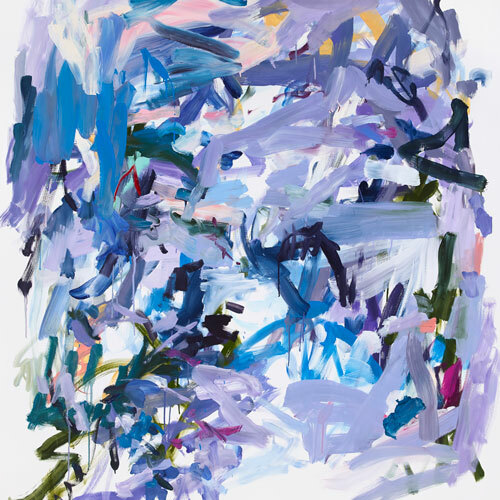 My work, however, is, in fact, loosely based on the natural world – but “abstracted” or condensed into a series of marks and gestures that, together with color, create the work. sVA: Why did you choose abstract as your creative style of choice? YS: I think that abstraction chose me! For a long time, I was a figurative painter, but gradually, I came to feel that working figuratively was limiting for me – that I could do more or say more of what I wanted by working abstractly. The change was made gradually, however. Over time, and little by little, I began to eliminate the recognizable imagery, until it disappeared. It took a while to feel comfortable with this. Abstraction allows me a great deal more freedom to work with the tools I have – color, light, mark and gesture – and to some extent, facilitates more of a dialogue with the viewer – it allows the viewer greater opportunity to enter into interaction with the work, to project their own interpretation of what may be going on. 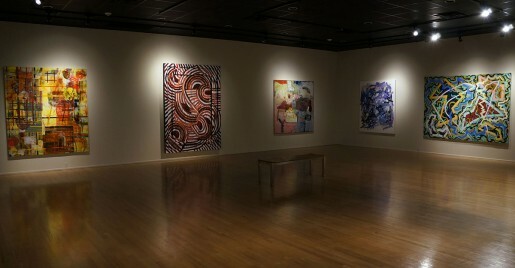 I am influenced by calligraphy, poetry and Asian painting primarily in terms of mark-making and the handling of space. Abstraction allows me to integrate these influences in a non-literal way. I am not trying to make paintings that look Asian, but rather I want to access the invisible forces that drive that particular aesthetic. sVA: Describe your creative process. sVA: Do you think that painting abstract allows you more freedom? YS: Working abstractly allows me to create a space that is fluid, impermanent and changing; it leaves something that is unsaid and that is incomplete. I like the idea of something being “incomplete” as it makes the work more interesting and permits the viewer to complete the work. sVA: Abstract art evokes a lot of emotions through color and composition. Can you tell us how you use color and composition to evoke emotion in your pieces? YS: As I said above, my work is primarily steered by color, mark and gesture. These are my tools to communicate what I desire. Of the three, color is most important to me and it is the essence of the work. I do not form particular associations of color to particular emotions. These relationships are open-ended and different for each painting. My use of a certain shade of pink for one painting does not necessarily crossover for another painting. White is a key “color” in the work and it has a positive presence. The composition itself – the relationship between the painted and unpainted spaces (white) and the accumulation of marks – also plays an important role in conveying a distinct feeling or emotion. The work, as I said, is a condensation of feelings or experiences. The work is not about language nor does it necessarily want interpretation – but aims to achieve a sensual, visual pleasure. sVA: What has been your greatest difficulty as an abstract artist and how did you overcome it? YS: I think the biggest challenge in making abstract art for me was to really grant myself the freedom that it tolerates. There is a certain safety in painting figuratively. Painting without a lot of structure is sometimes harder than you would think. This continues to test me. Also, I am constantly striving for simplification, and yet, my works have a complexity to them that I believe really reflects who I am. As I evolve, I hope that my work will follow. You show your true face in your work – it is inevitable. sVA: What is next for you? Ys: I have several series in mind at the moment. One idea comes from a book entitled “Music of Silence” in which the hours of the day are given special, sacred significance (as they are in a monastery). Each hour has an individual character and presence. The challenge is to interpret this – in a non-literal way – and to make works that convey the essence and message of each hour. Want to see more of Yolanda Sanchez’s work? Selby Galleries I & II: The resurgence of Abstract Painting in contemporary art provides this opportunity to explore current trends in relation to the historic movement through the exhibition of eight working painters ranging in age from their thirties’ to their eighties’ who are inspired by nature, music, mathematics, the spiritual and new media. • Artists Talk and Preview: Thurs., Feb. 21, 7 p.m.
• Opening Reception & Performances: Fri., Feb. 22, 5-7 p.m.
• Director’s Tour: Mon., Feb. 25, 11:30 a.m.
Next Next post: Abstract, adj. : Expressing a quality apart from an object.